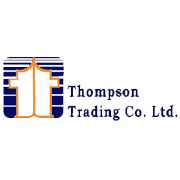 Thompson Trading Company is a wholesale grocer with operations in Nassau and Freeport, Bahamas. Their product line consists of dry grocery, HBA, candy and beverages. They are also the Pepsi distributor for the Bahamas. The Bahamas consist of over 700 islands, with the majority of business centered in Nassau (New Providence and Paradise Island), Freeport (Grand Bahama Island) and the Abacos. The business process in the Caribbean is much different than in the United States. On most of the former British islands, the distributors act as an “agency” or “franchisee” of different manufacturers. Therefore, each distributor has a mix of competing product lines. One distributor might sell Proctor & Gamble products, while another sells Lever Brothers. One distributor handles Cadbury chocolate, while another sells Nestle. Although the distributors do trade with each other to better service smaller accounts, they compete strongly for shelf space in the major supermarket facilities on the islands. In order to retain their ownership of each brand, the distributors spend many hours preparing marketing and sales reports for the manufacturers they represent. This includes providing information for promotional activities, growth programs, media advertising, etc., to the manufacturers they represent. Each distributor has several employees that serve as “business managers.” It is their responsibility to provide the reporting that their principals require. It is generally a daunting task to collect information from many disparate sources.